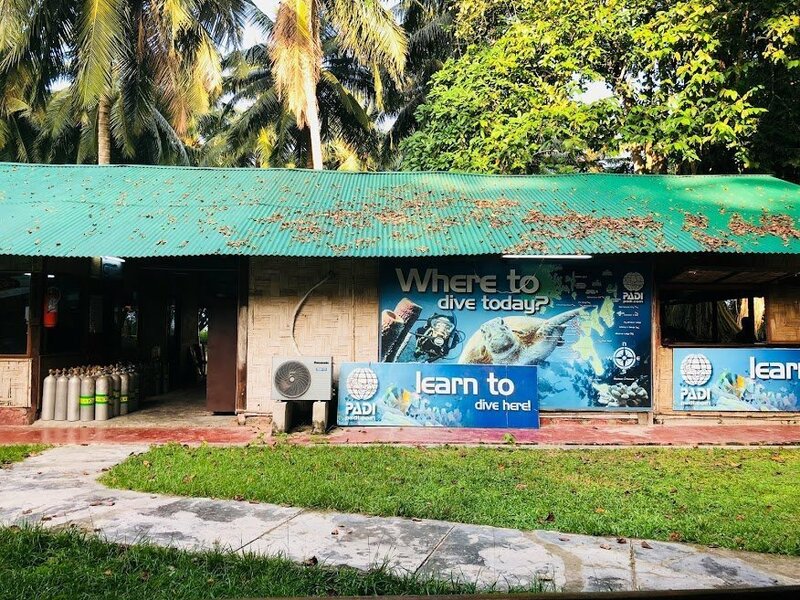 My First Scuba Diving in Havelock – Surrounded by technology in every aspect of our lives, finding a place simply to appreciate the beauty around, has become a rare sight these days. However, getting indulged in a water sport that not only takes you to tranquillity and is no less than a meditation, is what scuba did to me. An experience that took my heart and blown my mind with lots of aesthetic views and irresistible marine life. 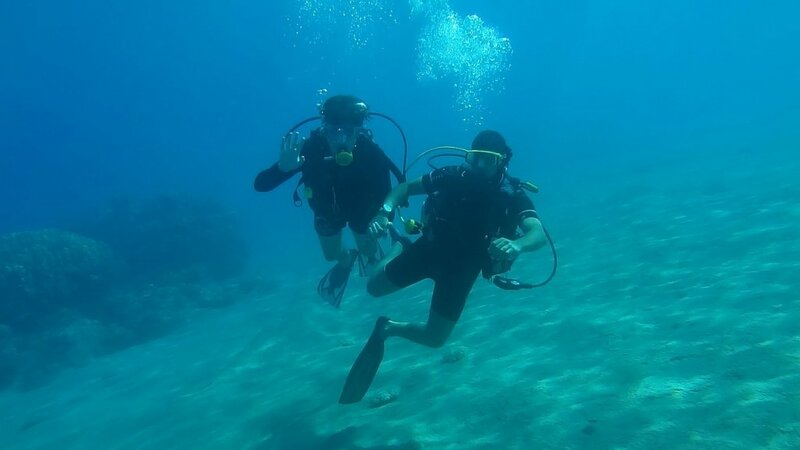 We were on our honeymoon trip to Andamans and my husband being an adventure lover, wished to try his hands on scuba diving. Now, me being a water-phobic maniac, was sweating insanely, imagining my death on our honeymoon and courtesy my husband, under the gorgeous water of Andamans. Yeah! I was that scared. Remember Hrithik Roshan from Zindagi Na Milegi Dobara? Well, my state of affairs was no less than his before the scuba diving day. All my dreams of flaunting my honeymoon pics were shattered by now and the enchanting island was no more a gorgeous place for me. Honestly, I can’t really explain how terribly my heart was pounding that time. With hours of convincing talks, I finally set to attempt this insane activity that my husband was going gaga about. It was also my husband’s birthday and definitely, my love for him convinced me to give it a try. So, the D day came and I accompanied by my husband and one more couple, got in our diving suits and went to learn the basic signs. Did I mention that diving suit gave me a pump for sure? The sign language was not that troublesome however, the new respiration style of breathing from the mouth instead of your nose was not very easy and pleasant. After few minutes (did I say few? I am sure I took more than 30 minutes) of struggle in learning the scuba lessons, I innocently asked my instructor how quickly can I be taken out of water, if at all I start drowning (how silly), and to which he replied just 4 mins honey. Hey, why don’y you join me and others in our awesome Facebook group and hear and share your travel stories & experience? To understand if it’s extremely worthy to risk my life (remember how scared I was) for the so-called scuba experience, I decided to go for a quick dive first. With some discomfort at first, as soon as I went beneath the water, I was smitten by the beauty around me. I wanted to scream and let the world know how divine it is inside. 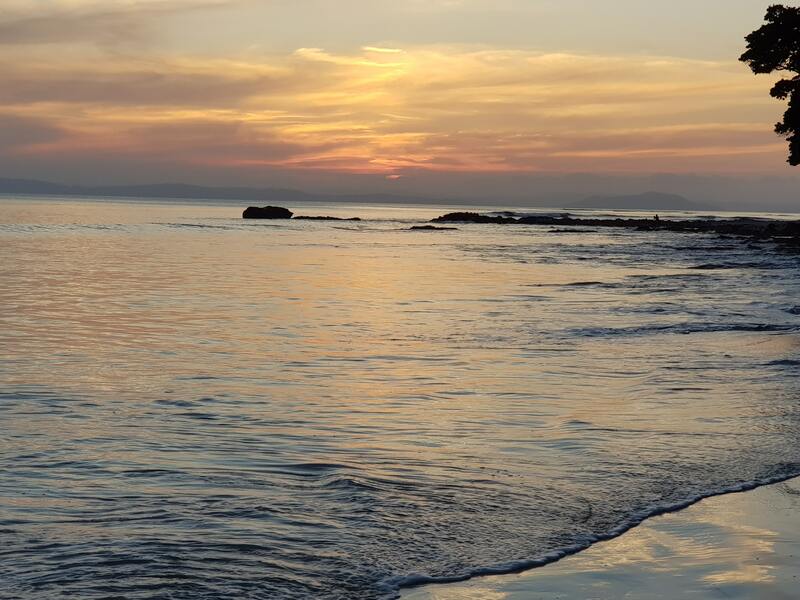 It felt like I am in some kind of heavenly place as it was so wizardly and peaceful that I had nearly given myself to the ocean. When questioned with the thumbs up sign if I might wish to go up, I pleasantly nodded my head and gave a thumbs up sign in return. Really can’t justify in words how content my heartfelt and how dazzled I was at that very moment. With a feeling of great achievement as if I had conquered the planet or something, I kept moving my fins and equalizing myself on time to time. My eyes had never seen such a beautiful sight ever and I think the sole issue that has replaced the amount of happiness I have ever experience till now, is that the birth of my little princess. Anyways, it was the time to urge within the ocean for the final time to experience some magical moments of my life and if I can admit, I was excited like a kid. Almost 12 feet down, where you could hear no noise of the human world and most significantly no buzz of your mobile phones, it felt like my soul simply got a quick wash. Underwater indeed has a magical treasure with an array of fishes, from some tiny ones to some huge vibrant ones. With attractive corals in our path, it was hard enough to determine on whom to concentrate on. This wonderland was so utterly gorgeous that I didn’t need to travel back to the world I came back, however, my instructor was pointing at his watch, making me realize that 30-40 minutes has already been passed and its time to go back to the mundane life of ours. At the idea of getting separated from this marvel, the world gave me such immense pain, that I know for sure no doctor could help you with. It felt like I am breaking up with my love and my life has come to an end. It was time to say goodbye to this bewitching world of marine life and with a heavy heart, I took a last view around with a promise that I will come back. 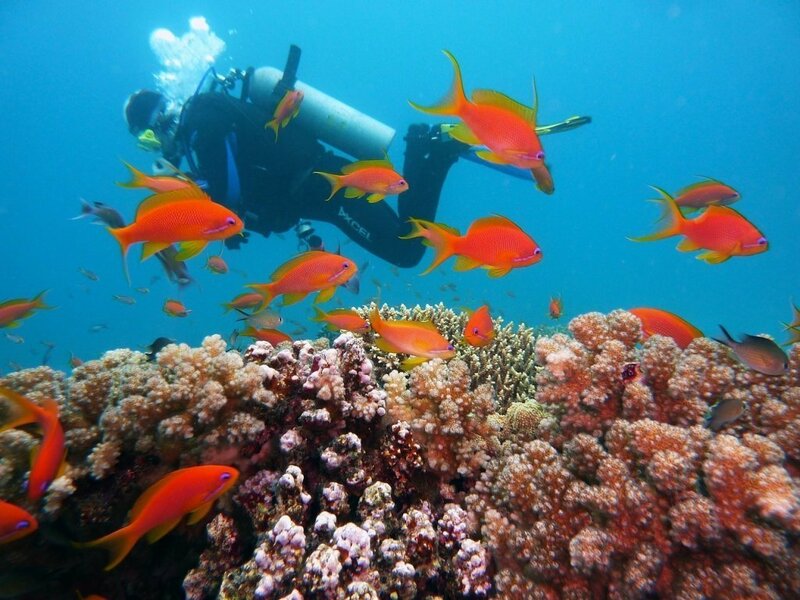 #1 Best season for Scuba diving in Andaman: Mostly it’s said the early morning hours are the best time to explore the marine life underwater but it would be a good idea to check with your diving agents to get the maximum visibility underwater. #2 Safety underwater: You don’t need to learn or know swimming to enjoy the scuba dive. Keep moving your fins and of course, the guides and instructors will be around you all the time. Also, you will be carrying the oxygen cylinder to get enough oxygen. #3 Sign language lessons: Before you step inside the ocean, you will be taught sign language that can be used underwater. Learn them by heart to avoid any confusion or panic underwater. Listen to all the briefs carefully. #4 Breathing Technique: This is the most challenging part of the entire scuba diving. We are so comfortable in using our nose to breathe that learning a different part of our body for breathing will only make you frustrating and confused. But trust me it’s not impossible also, so concentrate on the new breathing style and remember practice is the key to success. #5 Photography: You can carry your waterproof cameras along but even the guides accompanying you will be clicking a few pictures of yours and will also make a small video to cherish forever. #6 Don’t disturb the marine life: I know you would want to touch the beautiful turtles or fishes, but please control your emotions and touch or disturb them at all. Havelock is one of the popular island and a favorite spot of tourists for snorkeling and scuba diving. This gorgeous island is additionally called Swaraj island and is an absolute delight for honeymoon couples. With a range of water sports including banana rides, snorkeling, scuba diving, water jets, boat rides with glass to view the corals and mesmerizing sightseeing, this island is a paradise for water lovers as well as for anyone who wants to unwind and relax. 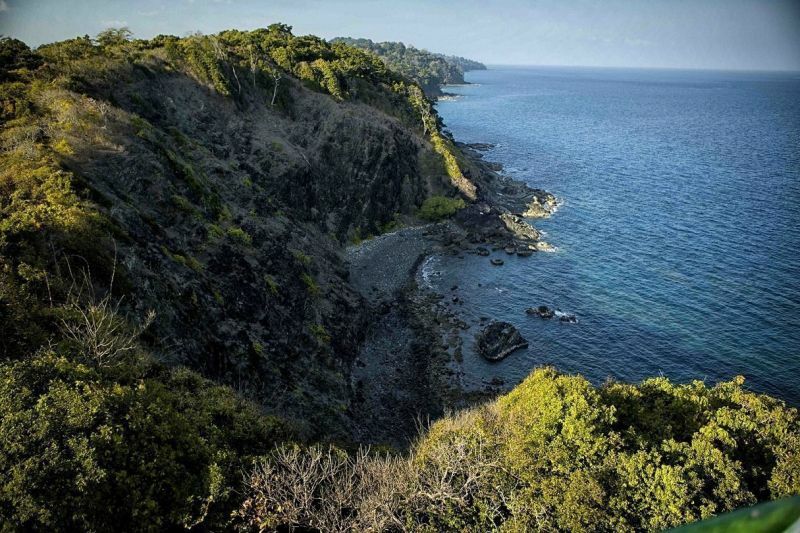 The island being a hub for scuba diving lovers provides many beautiful diving sites including the Lighthouse that allows diving in the night, the Aquarium, the White house rock and the Nemo reef to name a few. This underwater journey will take you to witness a fleet of marine life that includes octopus, Lionfish, Pupper fishes, Anglerfishes and many other varieties of marine life. Although this gorgeous island has numerous diving sites at every 50 – 100 meters of distance, however, it is extremely important to do your research before choosing the best diving site and agencies for a truly memorable experience. To name a few, Ocean tribe, Dive India and Barefoot, etc are the recommended ones otherwise you may check with Sea Shell Resorts, Barefoot Scuba Resort or Silver Sand Beach Resort to get connected with the best diving agencies of the island. 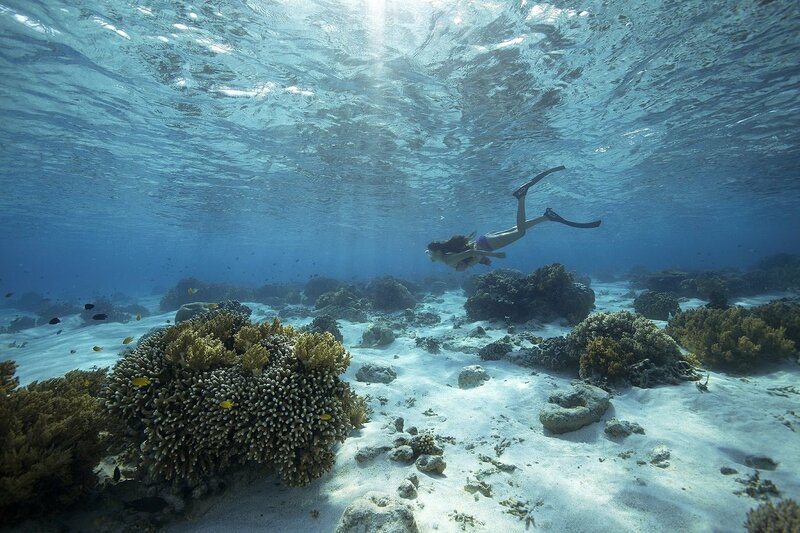 Dive Cost: It approximately takes 3000 – 5000 per head to enjoy the scuba dive experience on this tranquil island. However, rates may vary amongst the various scuba diving agencies there and the peak season also affects the rate card. Around 41 km away from the capital city of Andamans, Havelock island can be reached either by a government or a private ferry. The private ferry takes 1-2 hours depending on the waves and weather to reach the popular tourist destination of Havelock island. The peak season to visit this gorgeous island is November to February and besides Monsoon, this island can be seen thronged by tourists all over from the world. I must confess scuba diving was the most courageous thing I was ever involved in, of course after my daring activity of getting married but honestly, one of the soul-satisfying experience of my life. An experience I would never forget and that brings back happiness every time I think of it. Scuba diving in Havelock should not be missed adventure for anybody, being it a beginner, a professional or a water-phobic person like me, scuba diving can give a plethora of moments to live for and allows to witness the underwater marine life through my naked eyes without the help of any TV or internet videos. Please share your valuable comments and suggestions on the comment section and do press the stars, if my article on Scuba diving in Havelock turned out to be useful to you.